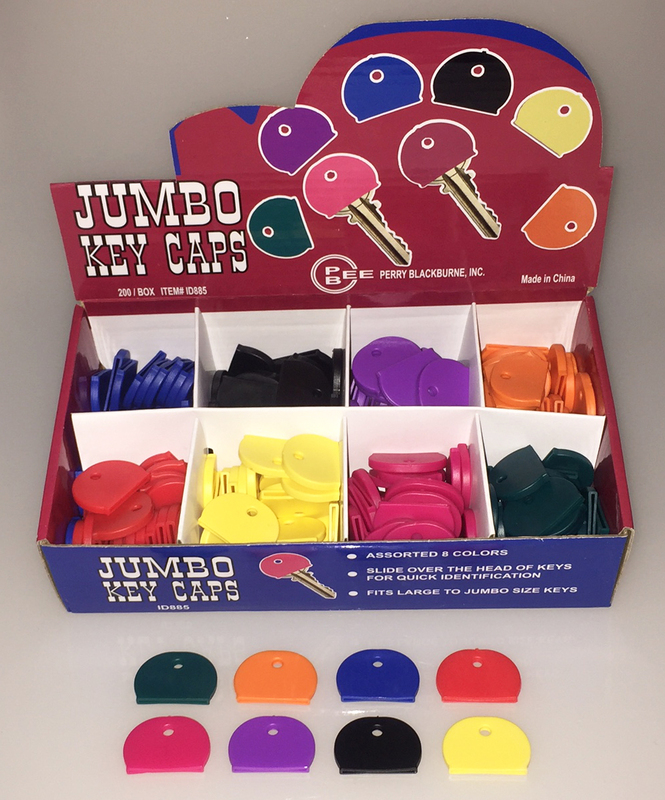 Our jumbo sized key covers are made from rubber-like vinyl. These are made to fit your larger keys. Available in our regular color assortment (Red, Green, Purple, Yellow, Black, Raspberry, Orange, and Dark Blue). Available in a display box of 200 pieces.